Unless you hold a passport from Canada or Bermuda, before you arrive in the US you must fill out an immigration form. There is a white I-94 for Visa holders or a green I-94W for those entering under the Visa Waiver Program. Most of the daily travelers arrive by air, and US immigration replaced the I-94W with the electronic authorization system known as ESTA. So, travelling by air doesn’t require filling out an immigration form but an ESTA application instead. Immigration services do not require a print out of your ESTA, the system in fact has been implemented to make immigration screening easier and faster. However, we strongly recommend you keep a copy of your ESTA among your travel documents (passport, flight tickets, etc. ), in case of any problems upon entry to the country. The old immigration forms are mostly used for entry by land. The immigration services have implemented a system through ESTA to exchange information with airline companies. This allows them to have a file on you before your arrival and to keep it during your stay in the US In other words, your airline company has anticipated your visit. 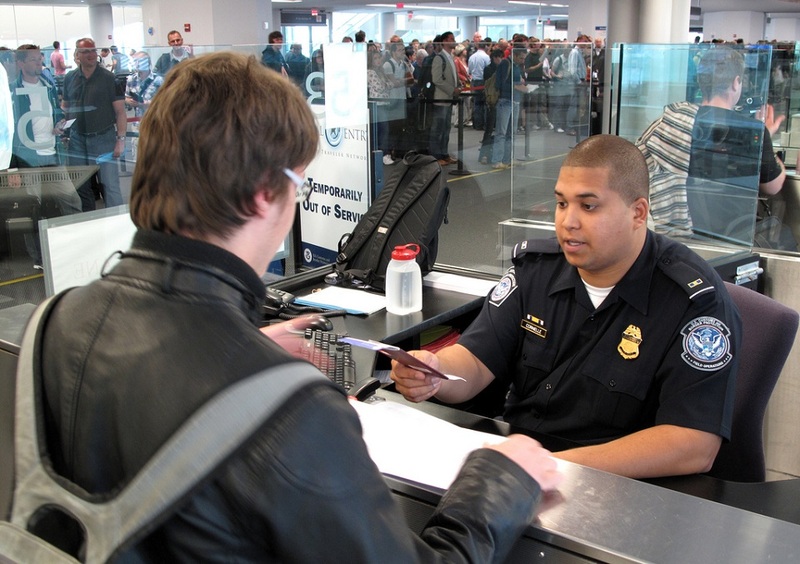 Once you’ve landed in the US, before collecting your luggage or leaving the airport, you will need to go through a quick examination by an immigration officer. The goal is to determine that your intention to visit the US is valid. Usually this is a formality that lasts less than a minute. If during the examination the officer suspects your travel intentions to be doubtful, you may be taken to a private room for questioning. You should be aware that the officer has the right go through your personal belongings such as your agenda, personal computer, phone, etc. Make sure you do NOT have anything that suggests you have the intention to stay beyond the time limit granted by your visa or perform activities not allowed by your visa (including seeking a permanent stay). We encourage you to be very careful and straightforward. Immigration officials are very serious about anything (including verbal jokes) that implies any risk for the national security. Any misunderstanding could lead to a long time under going further screening or worse, early repatriation. Upon your arrival, if you are not a US resident, you will need to indicate where you will reside during your stay. You need an exact address for your location, including a street name and number, not just a hotel name, college, etc. Even though under the Visa Waiver Program a US address is not required for your ESTA application, you will be required to do so upon your arrival. So, be sure to have it arranged before your departure. As soon as your immigration interview is completed, the officer will stamp your passport and grant you access to the United States. An ESTA allows you a stay for up to 90 days from the date on that stamp. If you enter with an I-94 form, be sure to keep the portion of it that the officer will hand back to you; it is needed when you are leaving the US. Every time a traveler enters a country (including their own) they need to clear customs. 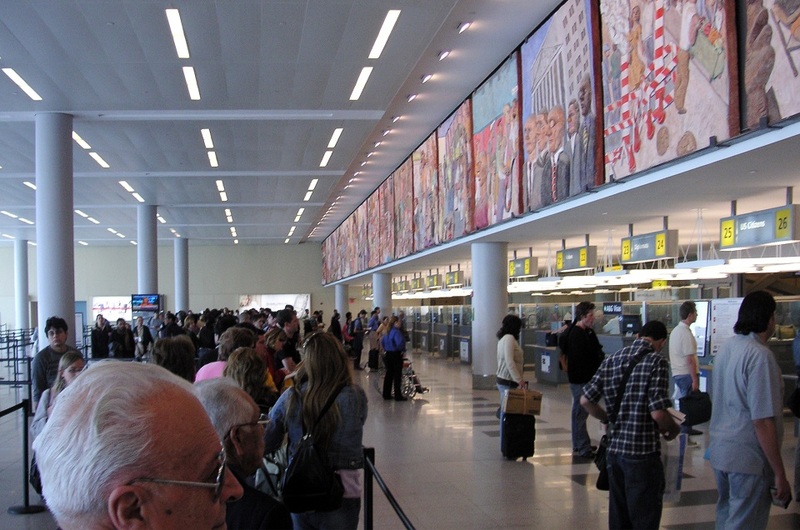 Upon entering the United States you must complete a customs declaration. This form is known as 6059B; it is blue in color and is in the shape of a tall rectangle. Usually, you are given this form during your flight to the US or at the check in before boarding your flight to the US All travelers need to complete one, including nationals, residents, visitors and visa holders. Only a single customs declaration is needed per family / party of related travelers. The front part of your customs form requires your personal information including your passport number and flight details. Below that, you are required to answer 6 questions. Some of the questions are pertinent to strongly monitored goods and items, including food, merchandise and currency (for example, you cannot enter the US with more than $10,000 in cash without declaring it). On the back of the form, you need to list the items that you are asked for on the front of the form. You might mention whether you are bringing in any gifts or souvenirs for a friend, tobacco or alcohol, monetary instruments etc. This section has limited space, so if you need to declare several items feel free to fill out multiple forms. So, after you are granted access to the US from the official at the immigration checkpoint, you will proceed to pick up your luggage and head to a further examination area. Here, you give your customs declaration form to the agent and in the majority of the cases the agent clears you right away indicating you toward the exit. Randomly, some travelers are subjected to further luggage inspection or sent to pay customs duties if they have declared goods that require them to do so. 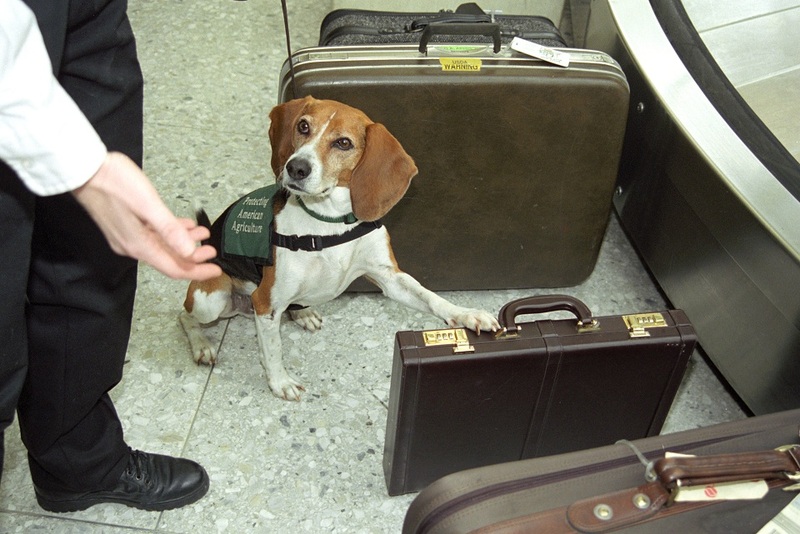 Further inspection may be done manually (you need to open your luggage) or through an X-ray machine (similar to the scan for your carry-on luggage at the security controls before boarding your flight). If after questioning a traveler arises more suspicions, they will be taken to a private room for a more invasive inspection. Remember, the United Nations has sanctioned some countries and goods produced in those countries are not allowed inside the US The current list includes Syria, Iran, Cuba and North Korea. A traveler is not allowed to enter with meat or unprocessed vegetables or fruit. You may, however, bring in packaged foods like cookies, bread and baked goods in general. As a general rule, you need to have your food items in a vacuum-sealed package. If you are planning a visit to any US territories (such as the US Virgin Islands, Guam, etc. ), remember that on your way back to the mainland you will have to clear customs again. 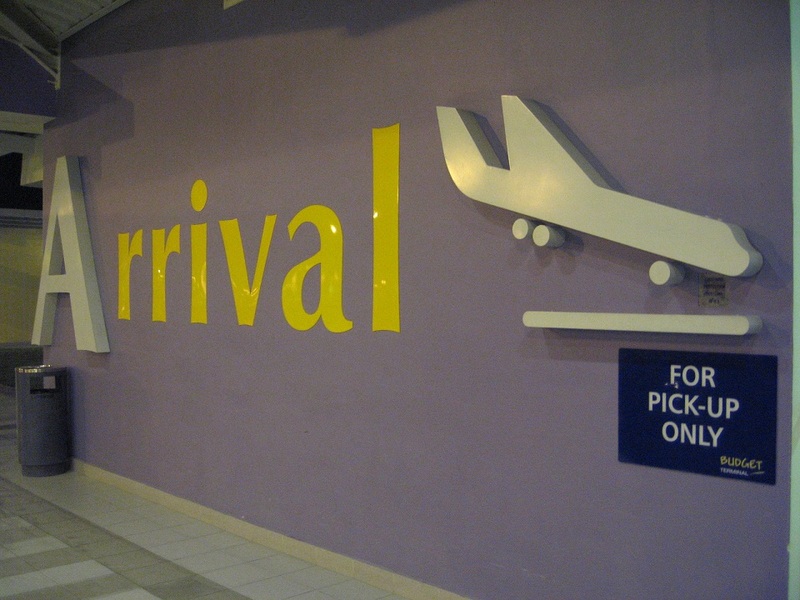 You will go through immigration controls at your port of entry (this procedure is known as progressive clearance), but most times you will retrieve your luggage at your final destination (port of arrival) and clear customs there. In other words, if your arrival city is in Philadelphia and your final destination is New Orleans, you will surely go through immigration in Philadelphia but retrieve your luggage in New Orleans and clear customs there. To be sure where to retrieve your luggage, please double check with your airline company.